The simple answer is easy to explain: I’m a Travel Agent. I have a son with Autism. I started a travel agency that helps other families with Autism travel easier and with less stress. But the actual story about how I became a travel agent that specializes in Autism Travel is a longer tale - one that starts on what I now lovingly-refer to as “D-Day” or Diagnosis Day. Diagnosis Day kicked off a flurry of events - meeting new therapists and teachers, a rotation of home-therapy sessions for 20-hours per week, Doctor appointments, and more. But how to do that when the only thing I wanted to do was to spend every waking moment getting my son the help he needed to connect with our family, to speak with us, and to learn how to play with his brothers? I thought my “Me Time” could start small. I was always an avid reader, but had no time for novels anymore. So perhaps a magazine article or two while my son napped or was in a therapy session; I could manage a magazine article, at least. But I wasn’t drawn to fashion magazines or celebrity news - I loved travel magazines. My husband and I were always avid travelers and thought that we would have children and just take them with us everywhere. Hop on a plane with a few kids in tow and explore the world. It saddened me when we realized that this dream may not be possible with an Autism diagnosis; our son struggled with new places, new sights and sounds, and new people. How could he deal with travel? So I went to these destinations in my mind. For my few minutes of “Me Time,” I could transport myself into the beautiful photos of gorgeous resorts, intense sunsets, sandy beaches, and glorious sunshine. It became my relaxation and stress-reliever. Over time, with maturity and years of therapy, my son learned to cope with new situations. We slowly began to travel, taking small trips at first. Then an airplane ride, and then a full-blown family vacation. We learned how to research accommodations at each resort, theme park, excursion and activity - to make sure that we had everything we needed to be successful and have a fun family vacation. While we might not have visited most of the exotic destinations from my brochures as a family, we are starting to branch out. We cruised to Mexico last year. 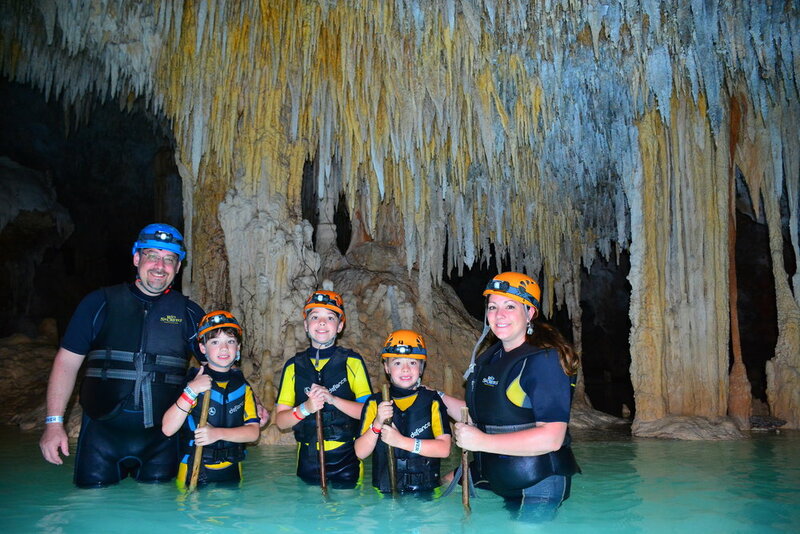 We tried an excursion to Rio Secreto to explore the underground cave systems. And we’re planning a trip to Turks and Caicos later this year. All trips we thought would not be possible 10 years ago. And now I share my passion for travel, my experience and knowledge with other families with Autism. Becoming a Certified Autism Travel Professional has become a natural progression for me, and I love connecting with other Autism Moms and Dads who need guidance about how to navigate their family vacations.